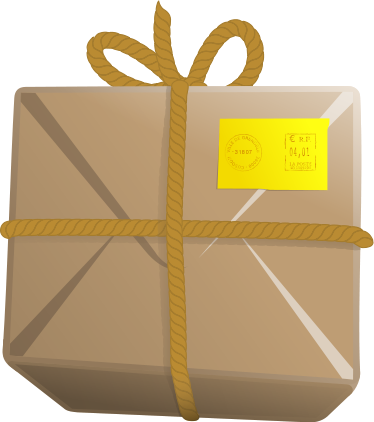 The Mail Center will be open regular hours, 9 a.m. to 4:30 p.m., over Fall Break. Please contact mailroom@wartburg.edu or stop by to let us know if your office will be closed for break. Did you get your name added to the Together as Knights chain? We’ll be leaving it up until the end of the month. Come down and add a link to our mail chain! Wartburg College Dance Marathon’s third annual Rake-a-Thon will take place on the following dates: Nov. 2-4 and Nov. 9-11. All proceeds from our yearlong fundraising go directly to the children at the UI Stead Family Children’s Hospital who are battling pediatric illnesses and injuries. If you are interested in supporting WCDM by making a donation in exchange for the leaf raking service, contact Andrew Linkletter via email or at 515-249-0341. Alliance, the LGBTQA+ student organization on campus, invites any faculty and staff interested in supporting Alliance to be added to their email list. The Alliance email list is used to let supporters know of upcoming activities and provides opportunities to get involved with Alliance. If you would like to be added to this email list, please contact one of the co-advisors, Cassie Hales or Rich Seggerman. Commencing Nov. 1, Wartburg will be transitioning to a new training platform with Everfi, our online training provider. In December, all faculty and staff will be receiving a link to complete their annual Title IX training. This training must be completed by Jan. 31, 2019. If you have questions, please contact Title IX Coordinator Karen Thalacker. Dr. Caryn Riswold, professor of religion, will be inducted as the Mike and Marge McCoy Family Distinguished Chair in Lutheran Heritage and Mission on Monday, Oct. 29, at 10:15 a.m. in Wartburg Chapel during weekday chapel time. A reception in Chapel Commons will follow the service. The Faculty Development Committee invites staff to a faculty development workshop: "How to write effective letters of recommendation." The workshop will be Tuesday, Nov. 13, 11:30 a.m.-12:30 p.m., in Buckmaster (WBC 214). Presenters from various areas will share their experience reading letters in their fields. Each presenter will speak for 15 minutes; participants can ask questions in the remaining 15 minutes. The speakers are: David Fox, principal at W-SR; Julie Husband, professor of English at UNI and former graduate program coordinator; and Amy A’Hearn, assistant director of medical school admissions at the University of Iowa. Lunch will be provided; bring your own drink. Click here to RSVP before Nov. 6. V-Day will hold a poetry reading Oct. 30 in the Chapel Commons from 7 to 8:30 p.m. Bring original work or read your favorite poems by other authors. Hot chocolate and snacks provided. The next Math, Computer Science & Physics (MCSP) Department Seminar will be held Tuesday, Oct. 23, at 11:30 a.m. in room 134 of the Science Center. Darby Kramer '20 (third-year physics major), will discuss her on-campus summer research experience in a presentation entitled, "A Study of Magnetic Braking and Induction." All are invited. Refreshments will be provided. Also, mark your calendars for the final MCSP Seminar of the term: "Women in STEM Graduate School" Panel Discussion on Nov. 6. Check out the fall issue of the journal Intersections: Faith, Learning and the Vocation of Lutheran Higher Education, the publication of the Network of ELCA Colleges and Universities (NECU). The new fall issue, “Civil Discourse in a Fragmented World,” can be found at this link. All back issues can be found at this site as well. Advising Tip #4: Student classification is based on the cumulative credits earned by the end of Fall Term, May Term, and Summer Term. Therefore, if a May Term course is expected to meet a third-year standing (3Y) requirement, the student needs to earn a minimum of 16 course credits by the end of Fall Term. See Classification under Policies and Procedures in the online academic catalog for the specific classification levels. Contact the Registrar’s Office with questions regarding student classification. Fund the Fortress gives students, faculty and staff the opportunity to raise funds for projects, campus needs, activities and more. We encourage you to browse our current and past projects to view the Wartburg community in action, and share your favorite project with your friends and family on social media. Click here to learn more about each project. The link to report a non-emergency incident is now available on the InfoCenter front page, on the Safety & Security website, and on the Community Bias Team webpage. This form can be used to confidentially report criminal activity (e.g., assault, theft, drugs or vandalism) or incidents that threaten the civility of our community, that have occurred on or off campus. If you provide contact information, Campus Security will respond to your report within 48 hours. This form should not be used for an emergency. 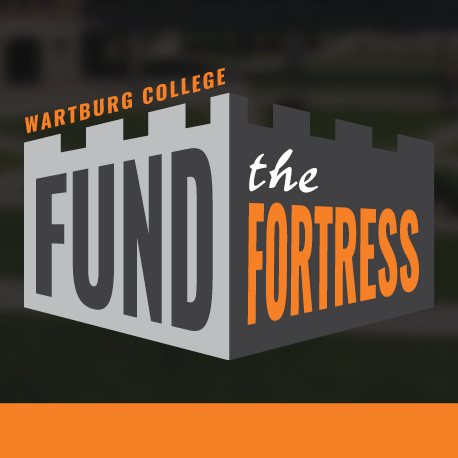 You can save a direct link to the form at www.wartburg.edu/report-now. Outfly Committee invites you to take part in the Outfly feedback survey to give your input on this year's Outfly and give ideas for Outfly for the next academic year. If you have any questions, contact Breyanna Primous. The Executive Committee of the German Institute announces the 2018-19 call for applications to support activities/endeavors related to German and/or Germany. For 2018-19, a total of $2,000 is still available from external sources. An application is required and funds will be awarded on a competitive basis. Applications for the full amount of available funds likely will not be supported in full. Applications are due Nov. 2. Awards will be announced no later than Dec. 3. In the past, the Institute has funded enrichments to May Term trips to Germany, the German film festival, learning materials for the faculty/staff heritage tour, and subsidized student travel to Germany for study abroad. Full application details are available at this link. Direct all questions to Dr. Daniel Walther. Aerial video and photos are beautiful, especially this time of year. If you wish to use a drone over college property, please fill out this quick online form before you fly, letting us know when you'll be filming and a waiver releasing the college from fault in the case of drone damage. Remember, flying a drone over an area where an athletic competition is underway is an NCAA violation. Please contact Chris Knudson if you have questions about drones on campus. As President Colson noted in his September open forum, summary budget information for the College is available to all faculty and staff on the InfoCenter. This requires you to log in if you want to see the information. If you would like to learn more about the College’s budget, please plan to attend one of the annual budget information sessions, where an overview of the College’s budget will be presented and you will have an opportunity to ask questions. These meetings will be held in November/December – specific dates and times will be posted in a future issue of the Juice. Note from Dan Walther: This bimonthly contribution is designed to share tips and ideas that can help us in our daily work life, offering tips on how to manage our workplace activities/responsibilities or insights into specific tasks. The first contribution is from Justin Zackal and provides advice on one way we can manage our numerous commitments more effectively and efficiently so that we have a good work day. Dr. Caryn D. Riswold, professor of religion and the Mike and Marge McCoy Family Distinguished Chair in Lutheran Heritage and Mission, recently represented Wartburg College at the National Conference of the Lilly Fellows Program in Humanities and the Arts. The national network of church-related colleges and universities gathered at Hope College in Holland, Mich., Oct. 12-14, around the theme of "Robust and Receptive Ecumenism." Dr. Allan Bernard, assistant professor of business administration, participated as a panelist in a symposium titled Developing Strategy for Entrepreneurs through Academic-Practitioner Collaborations at the Midwest Academy of Management 2018 Conference on Oct. 12 in St. Louis, Mo. Bernard also presented his paper, titled The Relationship Between Servant Leadership Style and the Perception of Project Success within the Information Technology Context, at the conference on Oct. 13. Dr. Lucy Barnhouse, visiting assistant professor of history, presented her paper, “Women’s Leprous Bodies: Women, Doctors, and the Examination for Leprosy in Late Medieval Frankfurt,” at the inaugural Leprosy and the ‘Leper’ Reconsidered conference, McGill University, Montreal, on Sept. 20. She also recently had an essay published: “Languages of Experience: Translating Medicine in MS Laud Misc. 237," in New Approaches to Disease, Disability, and Medicine in Medieval Europe (Archaeopress). Matt Sacia ’19 became Wartburg's career leader for touchdown passes in the Knights' 31-19 win over Coe on Saturday, Oct. 13, as reported by the Waterloo Cedar Falls Courier. JoJo McNair ’21 recorded three touchdowns to help push the Knights to a 31-19 win over Coe on Oct. 13, as reported by KCRG.